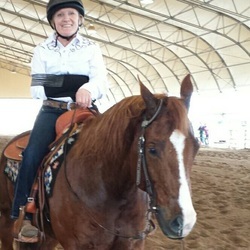 After spending an incredible week at Lisa Coulter's Apex Ranch learning about the sport of reining, I got to show her talented horse Western Whiz (Weg) at the first Para Reining class ever held at the NRHA Fururity. Weg gifted me our best run of the week and we won! 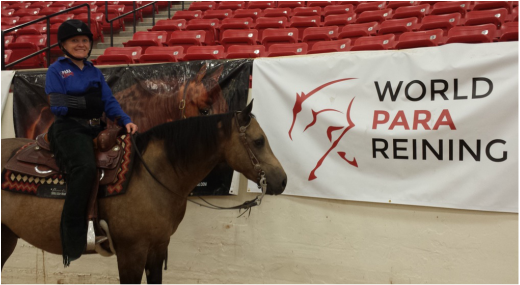 I can't thank Lisa Coulter enough for her generous dedication to the sport of Para Reining! What an amazing and thrilling opportunity! 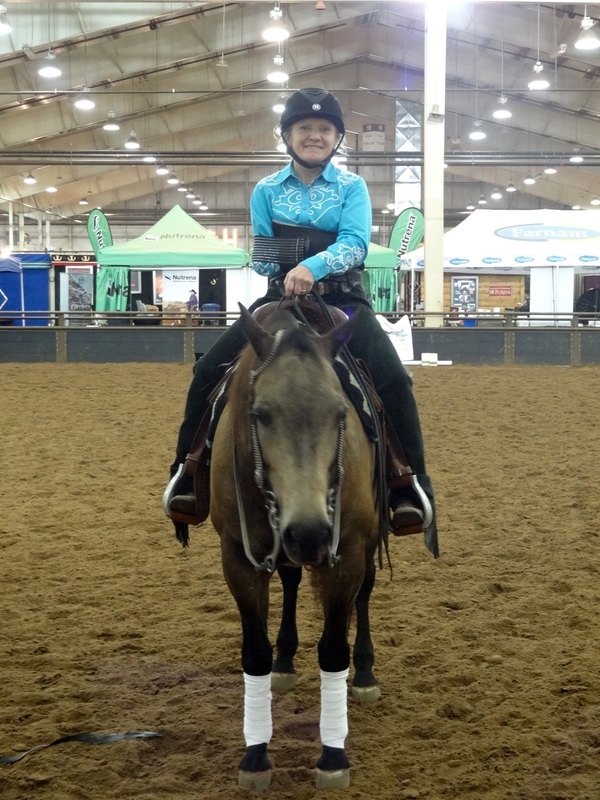 2014 NRHA Futurity Daily Diary #07 from NRHA on Vimeo. Para Reining from Lee Schneider on Vimeo. 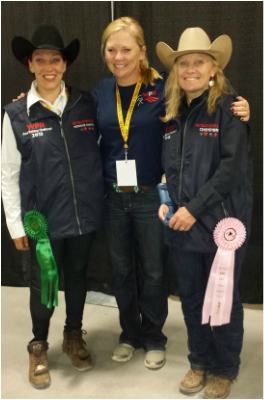 Regina Kozlik generously lent me her super horse Smart N Shiney (Sparky) and we rode to 2nd and 4th place at the Inagural World Para Reining classes. Thanks to trainer Travis Wigen for making it happen and coaching me through my rank beginner mistakes! Lisa Coulter shared her darling and talented Hollywood Aces with me. He was so patient! I rode him once day, then showed him the next. Final for the WPR Buckle Series. 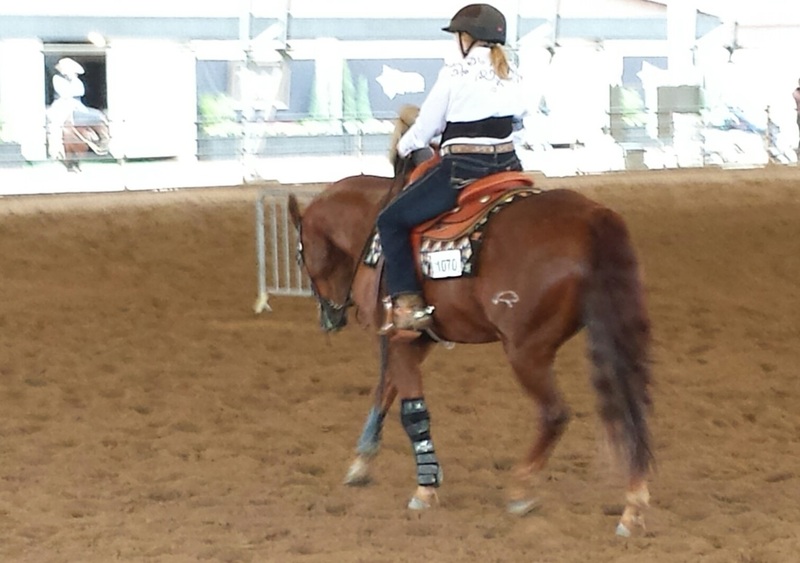 Lisa Coulter let me ride Hollywood Aces again, this time I got to ride him a whole week before we showed. Unfortunately, I spun one too many times and we got a 0, but had the best stops of my life so it was still fun! 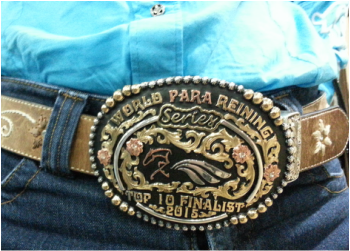 I ended up in the Top Ten for the year for WPR and got a buckle!